Medical University of Bialystok. Research & Science. 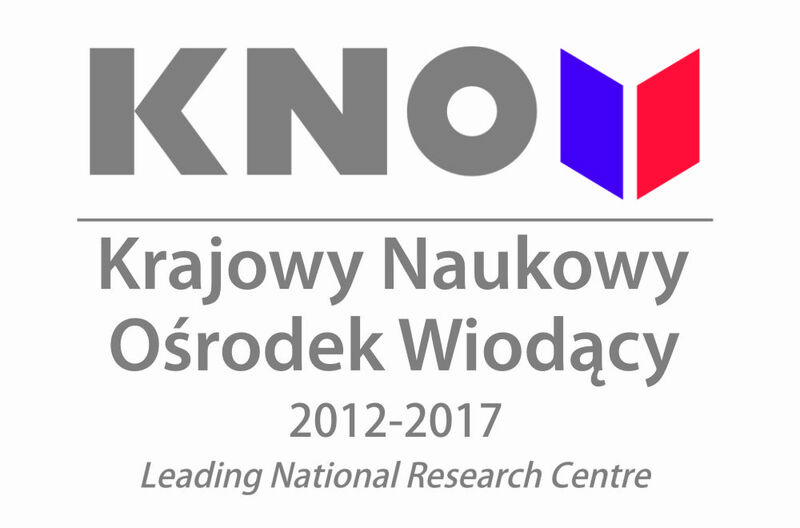 Centre for Innovative Research to receive the status of the Leading National Research Centre 2012-2017 (Krajowy Naukowy Ośrodek Wiodący-KNOW) in the field of medical and health sciences, which is a prestigious award granted by the Polish Ministry of Science and Higher Education. Additionally, year after year the University succeeds in acquiring the highest scores in the national ratings for all three of its Faculties and in receiving the category “A”, granted by the Ministry of Science and Higher Education to the universities with the highest research potential. 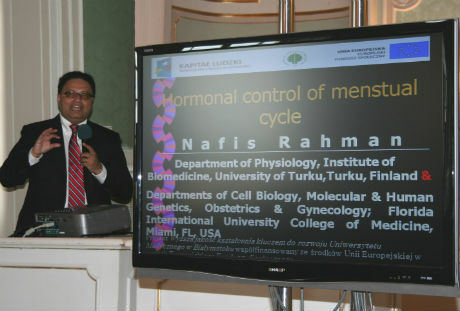 As a result of cooperation between the departments of fundamental and clinical science, intensive research studies are conducted on the pathomechanisms of civilization diseases including cancer, cardiovascular diseases, diabetes and obesity. The research is also focused on finding new innovative diagnostic and therapeutic methods, employing the results of research on potential molecular targets for pharmacotherapy, molecular modeling as well as synthesis and pharmacokinetic analysis of potential drugs. This is accompanied by the studies in the field of practical medicine, aimed at improving the quality of life of patients and members of the aging society. 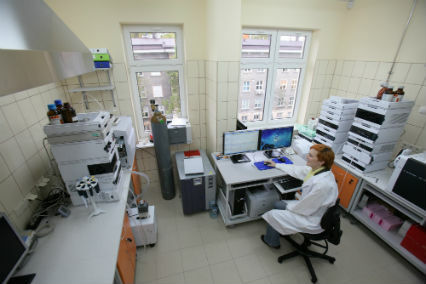 The scientific research at the Medical University of Bialystok is conducted using the most advanced 21st century technologies, including: genomic techniques, tissue expression analysis, chromatography techniques (LC-MS, GC-MS, ICP-MS), cellular imaging and many other. The research adds to the knowledge we already have in the fields of molecular biology, biochemical diagnostics, genomics, transcriptomics, metabolomics, pharmaceutical analysis and medicine. The results of work of scientists from the Medical University of Bialystok are easily seen through the very good rating in University Ranking 2011 conducted by Rzeczpospolita daily newspaper and Perspektywy publishing house. In this ranking, based on the data from the SCOPUS database (citations, publictions), the University was awarded the title of a leader in two categories: "Kuźnia Kadr 2011" (title awarded to the institution of higher education 'breeding' the best young professionals) and University with the highest scientific efficiency among all Universities in Poland. The University offers modern facilities to conduct scientific research: Center for Experimental Medicine, Euroregional Pharmacy Center and Innovative Research Center. 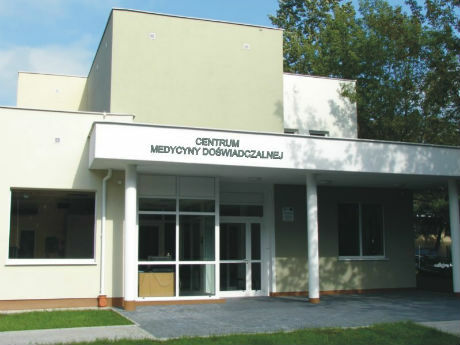 The Center for Experimental Medicine of the Medical University of Bialystok is one of Europe's most advanced facilities conducting experimental research and breeding laboratory animals. 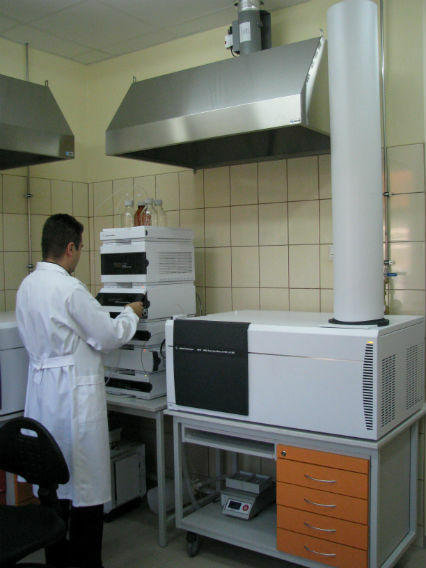 The Euroregional Pharmacy Center, being a highly specialized pharmaceutical and analytical research facility, introduces innovative research techniques into everyday scientific work. The Innovative Research Center ensures the cooperation within the interdisciplinary scientific team, whose scope of interest comprises searching for innovative diagnostic and therapeutic methods, particularly the methods of effective pharmacotherapy. The University continuously gains financial support for its research projects from the EU Framework Programs and from the EU structural funds. The academic staff are constantly working on improving their scientific records. Within the last ten years the number of articles they published in the journals indexed in Thomson Scientific Journal List and the value of their IF, doubled. The advancement of the research and academic staff is reinforced through numerous scholarships, training programs, internships and study visits to the best research and academic centers around the world. The staff members raise their competences by participating in English courses and in biostatistics and bioinformatics training with elements of genomics, conducted by the most distinguished international specialists available in the field. During the process of implementing various projects, the university staff cooperate with partners from national and international centers within numerous scientific networks and consortia.